The Lorain Police Department School Resource Officer provides a valuable forum through which students, parents, educational faculty, and police officers can become acquainted and, as a result, earn mutual respect for one another. The Lorain Police Department has a genuine interest in the community’s youth and we strive to support our schools by fostering a safe and secure learning environment for our students. 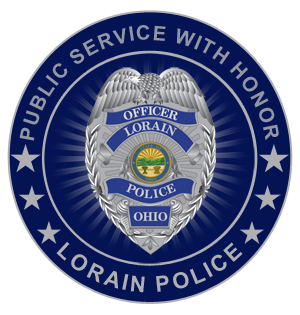 Officer Tom Orlosky presently serves as the Lorain Police Department School Resource Officer. Please feel free to send questions or concerns regarding school safety issues to Officer Orlosky through the contact form we have provided here. Officer Tom Orlosky was born in Cleveland, Ohio and graduated from St. Edward High School. After graduation, he attended the University of Findlay, where he played football and was a starting offensive lineman. Tom earned his Bachelor’s degree in Criminal Justice, and later coached football at St. Edward High School. 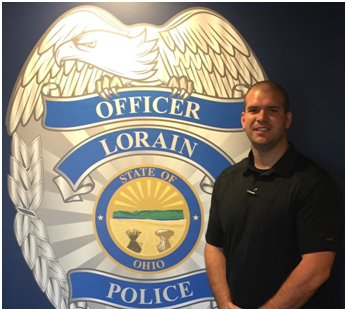 Officer Orlosky has been a Lorain Police Officer since 2013 working as a Patrol Officer. He is currently the School Resource Officer at Lorain High School.